A daughter of Indonesia's founding president has defended honouring North Korean leader Kim Jong-Un with an award for statesmanship, dismissing criticisms of his human rights record as "Western propaganda". Rachmawati Sukarnoputri confirmed the leader would receive an award from her organisation, the Sukarno Education Foundation, in September for his "peace, justice and humanity". The decision to award the autocrat such an accolade - handed in the past to such freedom icons as Mahatma Gandhi and Aung San Suu Kyi - has made headlines and triggered an outpouring of ridicule and disbelief. But Sukarnoputri brushed aside questions of Kim's suitability for the award, saying the young leader "should be honoured for his fight against neo-colonialist imperialism". 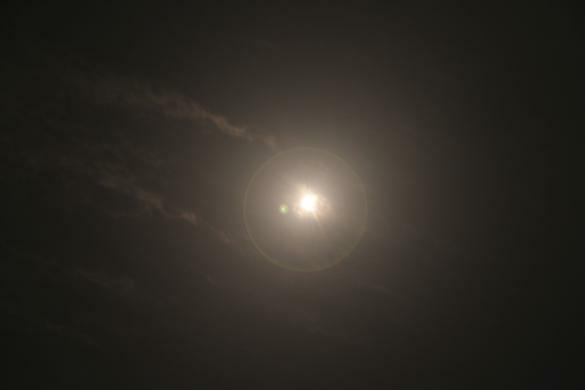 "The allegations about human rights abuses are untrue," she told AFP. "That's all just Western propaganda. 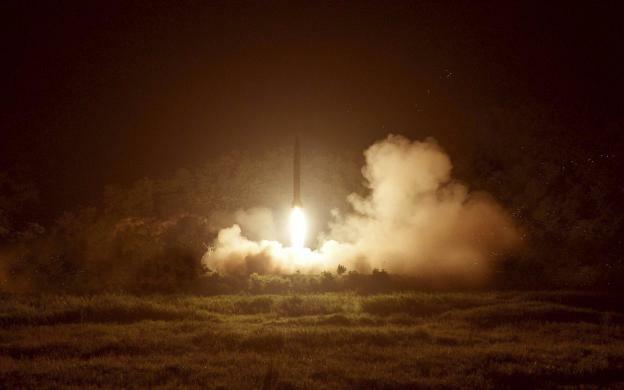 Those Western governments like to put ugly labels on North Korea." Her father, Indonesia's first president Sukarno, established early ties with North Korea back in the 1950s. 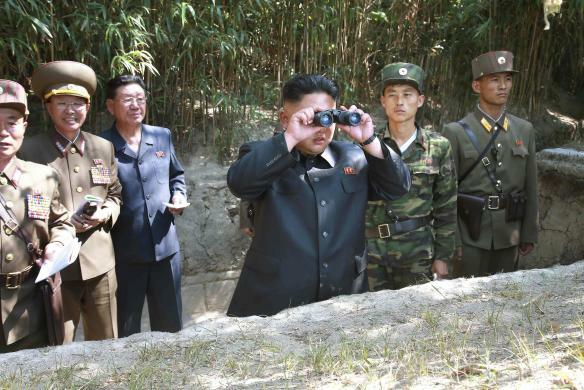 North Korean leader Kim Jong Un uses binoculars as he inspects a civil police post in this undated photo released by released by North Korea's Korean Central News Agency (KCNA) in Pyongyang on July 15. 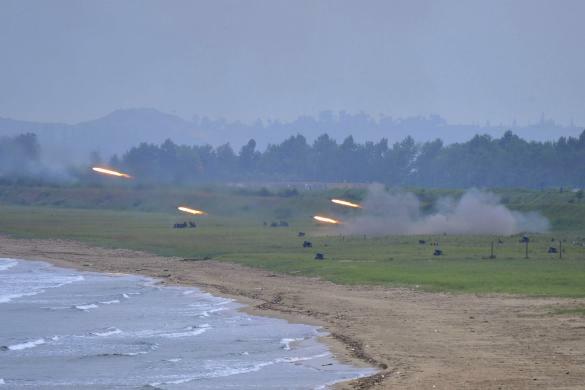 A multiple rocket launcher during an exercise in this undated photo released by North Korea's Korean Central News Agency (KCNA) in Pyongyang on July 15. 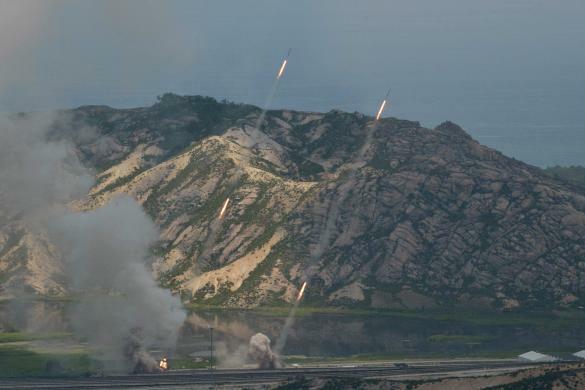 Rockets launched during an exercise in this undated photo released by North Korea's Korean Central News Agency (KCNA) in Pyongyang on July 15. 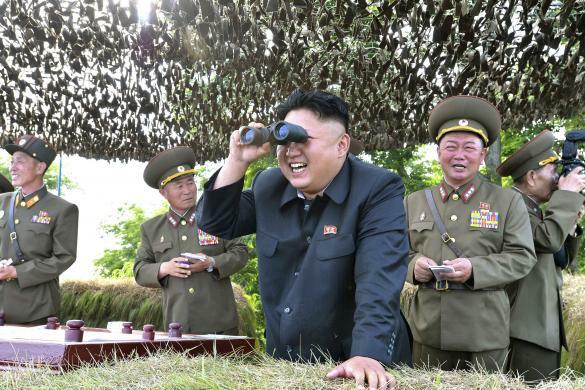 North Korean leader Kim Jong Un holds binoculars as he guides a live-firing exercise in this undated photo released by North Korea's Korean Central News Agency (KCNA) in Pyongyang on July 15. 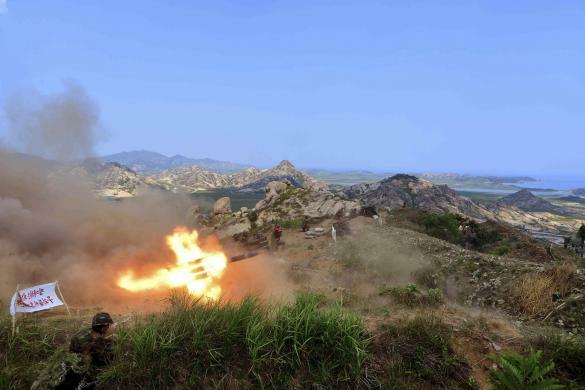 North Korean leader Kim Jong Un provides field guidance during a tactical rocket firing drill carried out by units of the Korean People's Army (KPA) Strategic Force in this undated photo released by the Korean Central News Agency (KCNA) in Pyongyang on July 10. 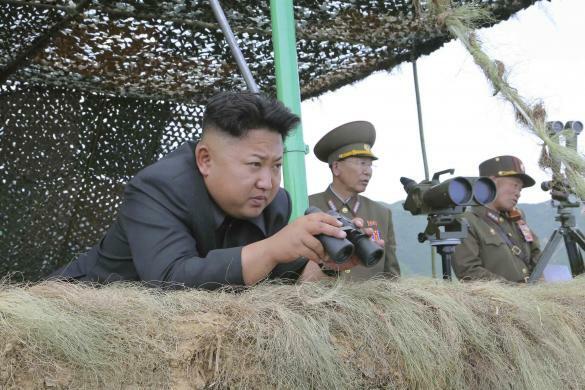 North Korean leader Kim Jong Un stands with a pair of binoculars during a landing drill of the Army Ground, Naval, Air and Anti-Air forces of the Korean People's Army (KPA) in this undated photo released by the Korean Central News Agency (KCNA) in Pyongyang on July 5., 2014. 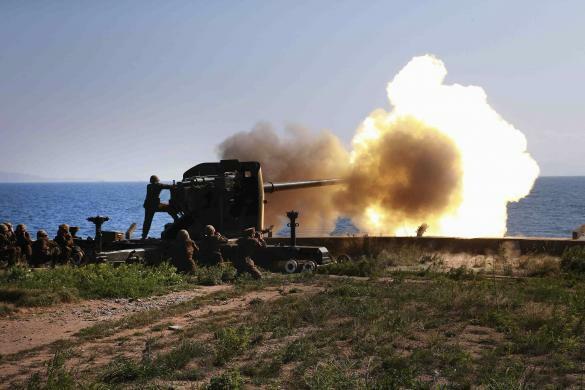 Soldiers fire an artillery piece during a visit by North Korean leader Kim Jong Un to inspect the defence detachment on Ung Islet, which is defending an outpost in the East Sea of Korea, in this undated photo released by the Korean Central News Agency (KCNA) on July 7. 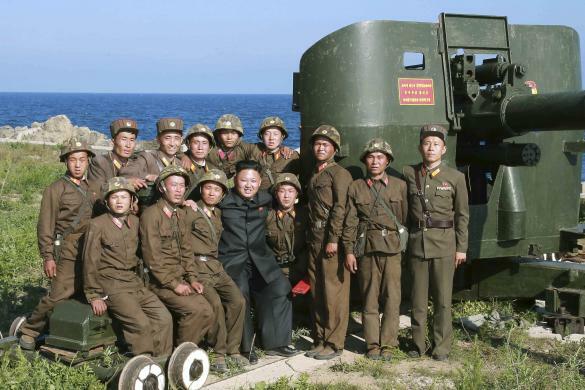 North Korean leader Kim Jong Un poses with soldiers during an inspection of the defense detachment on Ung Islet, which is defending an outpost in the East Sea of Korea, in this undated photo released by North Korea's Korean Central News Agency (KCNA) on July 7. 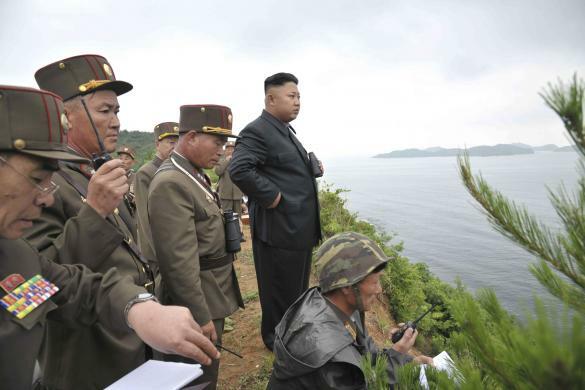 North Korean leader Kim Jong Un looks through a pair of binoculars during an inspection of the Hwa Islet Defence Detachment standing guard over a forward post off the east coast of the Korean peninsula, in this undated photo released by the Korean Central News Agency (KCNA) on July 1. 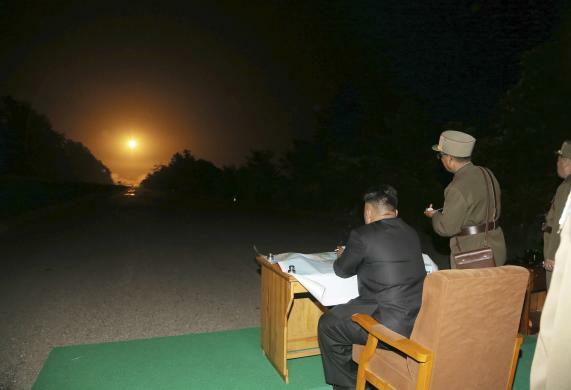 Jakarta has maintained open relations with Pyongyang ever since. In April President Joko Widodo hosted a delegation from the reclusive state as part of an international conference. It is not the first time Rachmawati's foundation has handed its top prize to a member of North Korea's ruling family. In 2001 the award was posthumously given to Kim's grandfather, the state's founding father Kim Il Sung. Rachmawati drew parallels between the younger Kim and her own father, the leader of Indonesia's independence struggle who ruled the Southeast Asian archipelago until he was overthrown in 1965. "Sukarno was also accused of being an evil dictator who violated human rights, but this was proven otherwise over time," she said. Rachmawati is also the younger sister of Megawati Sukarnoputri, Indonesia's fifth president, who remains one of the country's most powerful political figures. 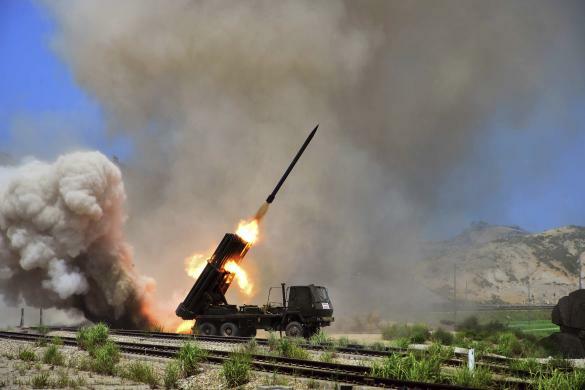 Kim is known for his ruthlessness in dealing with even the most senior officials suspected of disloyalty, following the execution of his uncle and one-time political mentor Jang Song-Thaek in 2013. 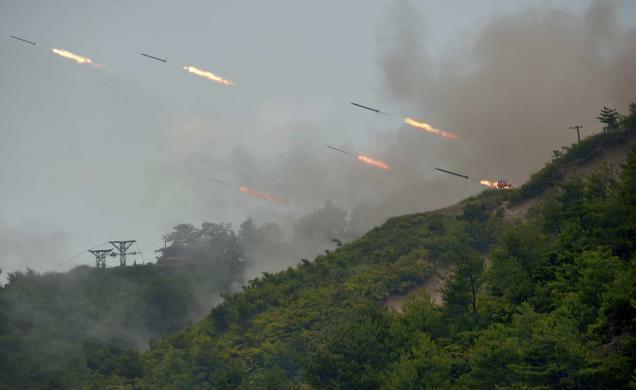 South Korean intelligence reported in May that he had his defence minister shot to pieces with anti-aircraft fire for insubordination and dozing off during a formal military rally. Foreigners detained by the North Korean authorities are habitually required to make public, officially-scripted pronouncements of their guilt in order to help secure their eventual release.